Today patrons are required to visit a library and use manual kardex or OPAC terminal to search book details. Very few libraries offer internet based OPAC - Book Search. Also, patrons get access to data of only one Library where he is registered. So there is no common platform where all worldwide libraries can share their data with patrons & a global search engine for patrons to search books from all over the world. Students today expect immediate, personal, easy access to information regarding items available in library on their mobile devices. They want mobile access to library systems and more. To meet these demands, M-OPAC of mobile enhancements specifically designed to meet the unique needs of Patrons/Students/Libraries. MaserSoft is a well known brand in education technology landscape. 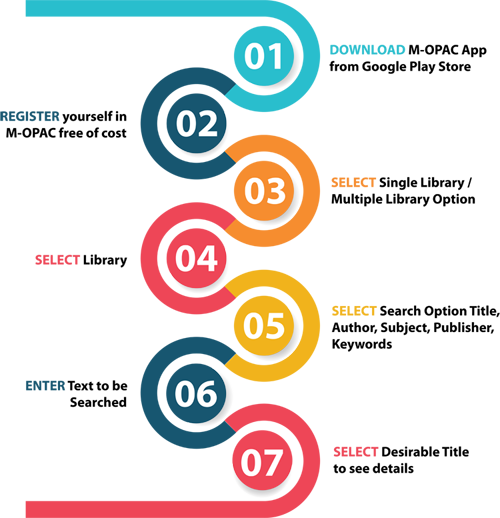 Our team works under the supervision of industry best experts and develop an ERP e-governance solution for all types of educational institutions. We came up with a better resource for library management also. 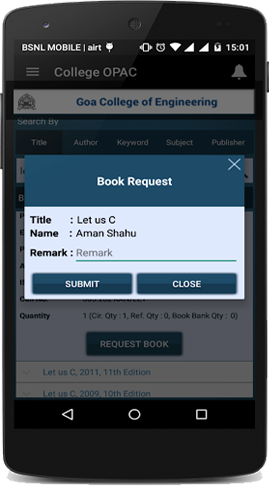 MasterSoft has developed library management app where patrons can search books online. 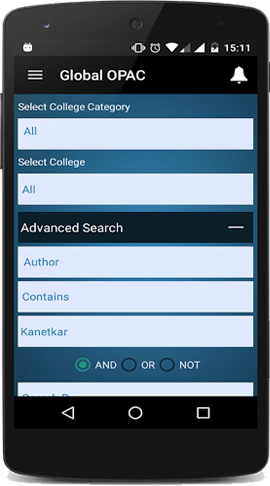 M-OPAC is a smart phone based Book Search APP offers a low-cost cloud-based platform to all the libraries in the world to share book data. 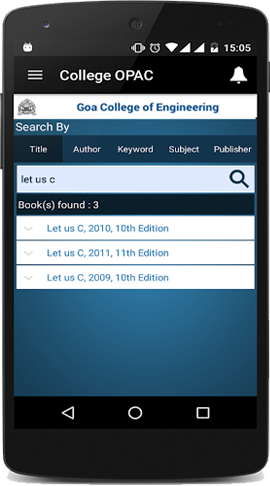 All library patrons worldwide get easy to use App for free book search. Library across the world can upload & upgrade book database on M-OPAC cloud. 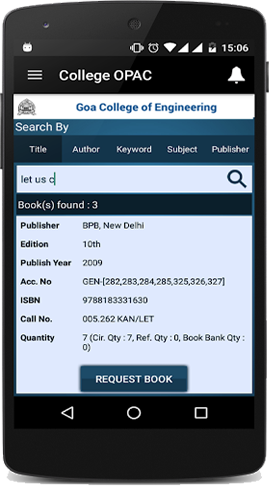 Library patrons can search book details from one or many libraries database using smart phone app according to the title, author, publisher, keyword, subject, etc. 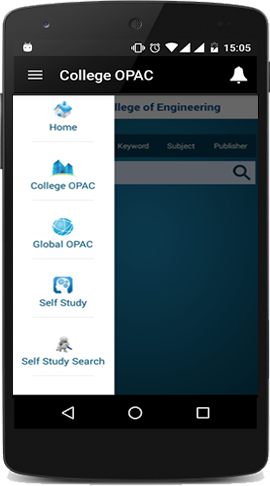 M-OPAC App offers a great new way to find books and prepares the library for future requirements today. NAAC committee also gives highest preference to library automated using Integrated Library Management System (ILMS). With the help of M-OPAC, the institute's librarian can easily generate MIS Reports in a graphical format for NAAC Committee visit. The reports include books quantity, year wise books purchase, funds/budget etc. M-OPAC is not simply defining particular college data rather than it allows gathering multiple colleges data at one place. By redesigning the process, we are giving the system a more active role in the student experience and taking advantage of the multiple user-interaction gateways that mobile devices offer. 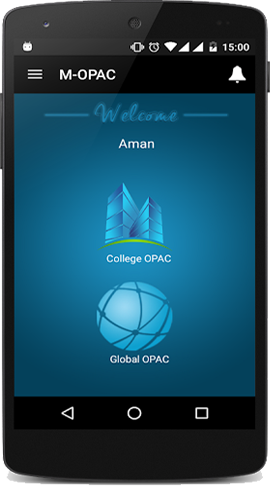 In addition, the framework upon which the new M-OPAC mobile features are designed will allow institutions to easily brand, customize, and extend the Smart phone application to provide maximum value to students through their mobile devices. 24 x 7 easy online access - No need to go to the library to search books physically and consume time. Global access to patrons - Patrons can access the data of one or many libraries registered with MOPAC. Rare Book Searching - Patron can search rare book from data of many Libraries on M-OPAC cloud. A common free platform for all library lovers for knowledge & data sharing. Multilingual - MOPAC support all language data. No investment required in server, high speed net & networking. Easy to implement & no training required. Instant Implementation and Popularity – once you upload library data in M-OPAC cloud; all the patrons in the world get immediate access. Inter library loan facility among the librarians. Free additional Internet based OPAC. Non computerized library can also be a part of M-OPAC. Useful for any type and size of library - Useful for college, university, school, public, government, private and autonomous libraries. Cloud based; No maintenance required. On-line free support to libraries. Platform Independent - Extract data from your library software or prepare data in Excel & upload on regular basis without any help. Reservation (Claims) & Inter Library loan facility for your patrons.